Home buyers will find the VA Home Loan FAQs below helpful. Please contact us below if you have a question we can help with. Basically, it means the Veterans Administration guarantees the loan to the lender or bank in case of default. The lender is the one who actually lends the money to purchase your home. It does not mean that you are guaranteed approval on the loan; you still have to qualify for it based on credit and income standards set by both the VA and the lender or bank. The loan application and pre-approval process can be completed in 30 minutes. Just submit the Info Request form on this page to get started now. Your VA loan specialist will contact you to get started. Yes, there are VA Jumbo loans for eligible home buyers. Please read the latest VA Jumbo Loan Guide here. If you have 20% or more to use for down payment, it may be a good idea to look at a conventional mortgage. Otherwise, a VA loan is financially the better choice. VA loans do not require monthly mortgage insurance (PMI) like conventional loans with less than 20% down payment. Additionally, there are certain fees that Vet’s cannot be charged at closing. VA mortgages also provide the borrower the ability to refinance through a streamlined process if interest rates happen to go lower in the future. USDA and VA are the only two mortgage programs that offer 100% financing with no down payment. With that said, the VA loan is (financially speaking) the better option assuming you have benefits. Both loan programs require a one-time funding fee – 1% for USDA, 2.15% for VA. However, the USDA mortgage also requires monthly mortgage insurance (PMI) of .35% of the loan amount. The VA loan does not have monthly mortgage insurance or PMI. As a result, the VA program will save home buyers about $35.00 per month on a $100,000 loan. Obviously more savings for higher loan amounts. Yes, most lenders will require applicants to have a minimum 600 credit score for the standard VA purchase program, higher (620+) for the VA Jumbo program. This credit score requirement can vary slightly from lender to lender. Keep in mind many mortgage companies can also have additional “overlays” or waiting periods in place for applicants that have had a past foreclosure, short sale or bankruptcy. Your VA loan entitlement is the amount that the VA will guarantee for your loan to the lender. $36,000 is the maximum entitlement and with this entitlement, the VA will guarantee a mortgage up to the county loan limit, which is $484,350 in most locations, some counties higher. Special VA Jumbo loan options are also available for high-cost locations. Actually the opposite. You want to ensure you are prequalified for your VA mortgage before writing an offer on a home. In addition, most sellers and realtors will require a letter of pre-approval before you offer will be considered. Having your loan pre-approval in advance will also let you know how much purchasing power you have, estimate terms and monthly payment as well. It’s a good idea to get your loan pre-approval completed weeks before you actually start looking at homes. Doing so gives you plenty of time to settle any credit disputes found on your report that could stall the process. The sooner you catch any potential issues like this, the easier the process will be once you find a home. We hear this often and it’s pretty common since the VA mortgage is more of a specialty loan. Many banks and lenders (even VA approved) are not very knowledgeable about the program. Therefore, they will tend to offer loan programs they are more comfortable with, like FHA mortgages for example. The only issue is that program may not be the best option for you. Another example of this is the USDA home loan, another specialty government mortgage program. It only takes about 20 min for a borrower to complete the loan application. During the application, the loan officer will ask some questions about employment history, assets, savings, living history, etc. Once the application is complete the loan officer will review your credit, employment, and income to ensure your application meets the VA guidelines. The lender will generally have everything complete the same day you apply! Call us at 800-691-8826 or submit the quick request form on this page to get started. The VA closing process for home purchase transactions generally takes 3-4 weeks to complete from the time the purchase contract is accepted. During this time the lender will send out mortgage disclosures, schedule appraisal, underwrite the file and coordinate closing with attorney/title agent. For sure! Borrowers can use the VA loan to purchase a standard sale, short sale or foreclosure home. The actual person(s) selling the home is not important. VA and the lender are more concerned with the condition of the home. It’s important to select a property that appears to be in move in condition and structurally sound. Keep in mind, nearly all distressed property sales (foreclosures, short sale home) are being sold “as is”. The seller(s) of these homes are generally not willing to make repairs before closing. This can pose an issue if the home has repair issues and won’t pass VA inspection. Yes, you sure can! However, you will be required to pay an increased funding fee for second-time use (typically 3.3%) assuming you are not exempt due to disability, etc. Interest rates will vary based on factors like credit score, lock period, etc. Generally borrowers with credit scores over 740 will receive the lowest interest rates. Interest rates also change daily until “locked in” A lender will typically lock a borrower’s loan rate once the purchase contract is received and a closing date set. At this point, a typical 30 -45 day lock in period is sufficient as most purchase loans take about a month to close. Yes, Government loans do not have any early pay off penalties. Move and sell your home whenever you like. You can also pay off the mortgage anytime you like. The VA jumbo down payment depends on many variables like your purchase price and county conforming loan limit. Please click on the VA Purchase page above to see some down payment examples, this should help. Are you a home buyer that has a question? Please reach out to us by calling Ph: 800-691-8826 or submitting the quick info request form on this page. Happy to serve all 50 states, 7 days a week. 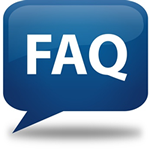 Please be sure to see the VA Refinance FAQ link here if you have questions about the refinance program.